As a result, they’re often reluctant to spend money on anything that isn’t absolutely necessary. If there’s a way to accomplish a task for free, they’ll find it. Fortunately, there are plenty of other tools to try. I’ve only included legitimate tools that will help your startup find the right keywords for your site — completely free of charge. Regardless of your niche, audience, focus, and goals, these keyword tools will give you the insight you need to improve your SEO strategy and achieve the only visibility you want. And there are tools for each step of this process. 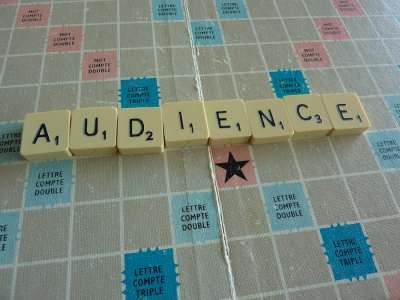 Certain tools will help you learn more about how your target audience searches for information, while others will give you data on each keyword’s search volume and competition level. So instead of making guesses as to which keywords will help you attract the right traffic, you can make informed, data-backed decisions. So instead of using them to create new content, you can incorporate them into content that’s already optimized for a more important keyword to improve the page’s search visibility and attract even more traffic. To get a clearer idea of why this is the case, just consider your own search engine use. When you’re early in the research stage of any purchase, you likely use short, broad search terms. 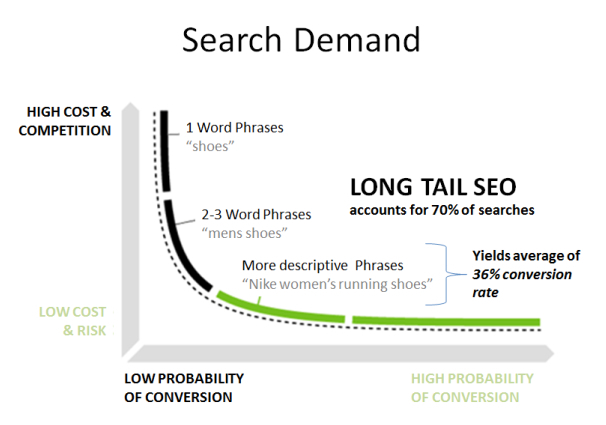 That’s why long tail keywords account for 70% of searches — and why traffic from long tail keywords typically has a higher conversion rate than traffic from broader phrases. Or at least it’s clear to a human reader — because we know that these phrases are often used interchangeably. 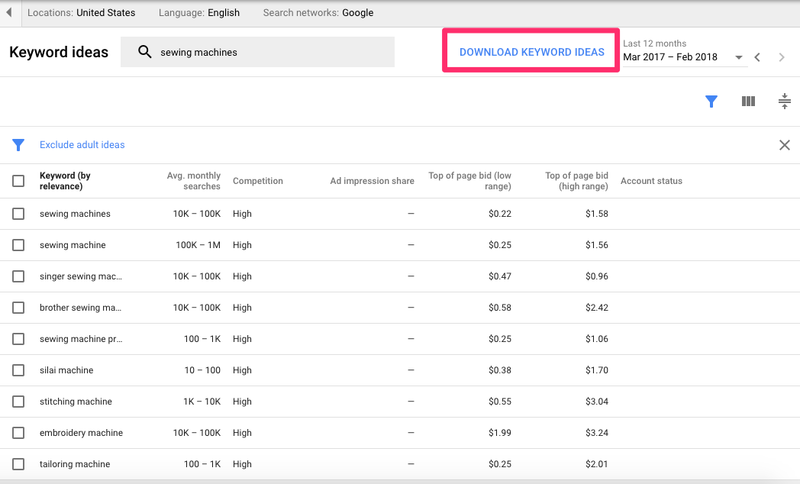 Your competitors’ keywords can also serve as great new content ideas. If you find that a particular keyword is helping a competitor attract a large amount of traffic, it’s probably worth targeting on your site, too. But the truth is, the most effective way to optimize a site is by using a combination of each. Users have different search habits and preferences, and you’ll be most successful if you optimize your site in a way that helps search engines cater to all of them. First, let’s take a look at the tools you can use to find primary and secondary keywords for your site. Your goal in this step should be to find keywords that have a relatively high monthly search volume and low competition level. 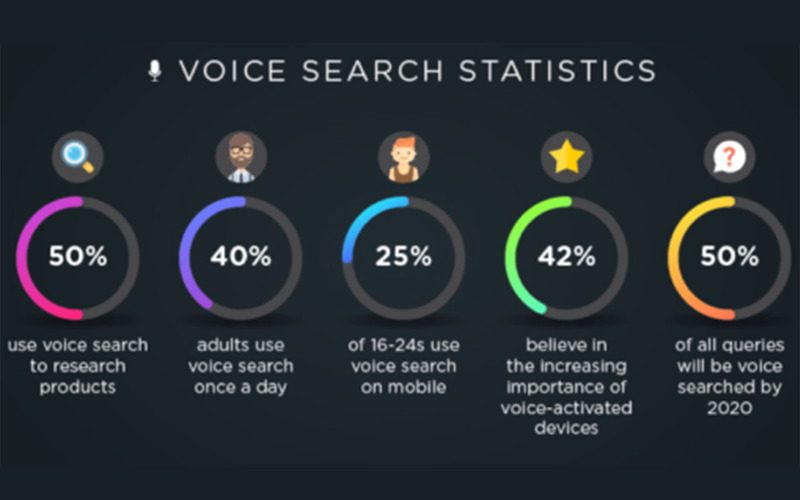 Search volume is important because you want to be sure that users are actually searching for the keywords you use on your site. Even the best-optimized pages won’t bring in the results you want if no one is using the keywords you choose to incorporate. Competition, then, indicates how difficult it will be for your site to rank for any given keyword. If there are tons of other sites targeting a specific phrase, it will be challenging for you to create a page that outranks them. And while you might choose to go after more competitive keywords later, it’s a good idea to start with a few that you’re confident you can rank for. This way, you can start earning spots in page one results and attracting traffic to your site as quickly as possible. 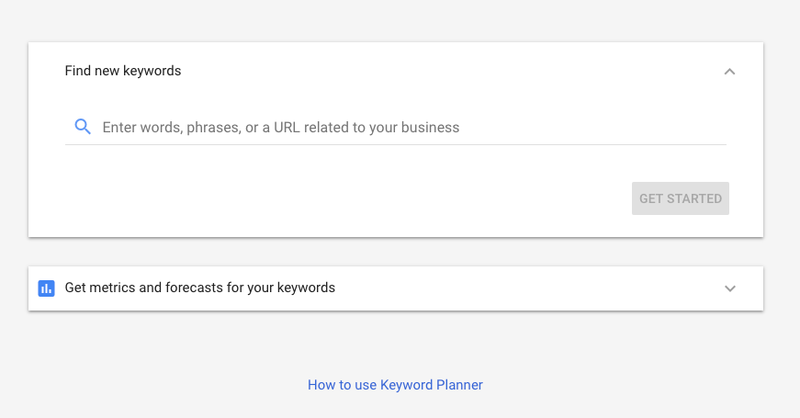 You’re probably already familiar with Google’s Keyword Planner, so I’ll summarize it briefly. As I mentioned earlier, it used to be the go-to choice for marketers who didn’t want to invest in paid keyword research tools. After all, most of us optimize our sites with the goal of ranking in Google’s search results. Why wouldn’t we use their tool to guide our strategies? For advertisers who run campaigns on the platform, this is still an extremely popular choice. But while it used to be free for anyone to use, it’s now only available to advertisers running AdWords campaigns. Still, if this is available to you, you should absolutely use it. Though it’s designed to help advertisers uncover keywords for pay-per-click, or PPC, campaigns, it works equally well for SEO purposes. There are a few ways you can use it. First, enter a word, phrase or URL. The URL doesn’t have to be your homepage, it just has to be a URL related to your business. Then, add any targeting or customization preferences. And you’ll see a list of keywords, along with the monthly search volume and competition level for each. From here, you can download your list as a CSV file. You can use this file as a starting point for recording possible keywords. Then, you can continue to add to it and document how you use each keyword in a way that works for you. This is the best starting place for keyword research, as it will provide you with the most comprehensive and targeted list of words. Plus, as you get more advanced with your keyword research, you can also use it to see what’s working for your competitors by entering their URLs into the landing page field. This will give you insight into which keywords are working for them — and whether there are any that could also work for your site. We’ll get into this idea in more detail later in this post. But first, let’s take a look at another tool you can use to identify primary and secondary keywords. The next tool on our list is also a Google tool: Google Trends. This isn’t a keyword research tool in the traditional sense, because it wasn’t designed with SEO in mind. Instead, it’s intended to show how search trends change over time. When you search for a keyword in Trends, you’ll see how the monthly number of searches for that keyword has changed over time. This gives you a basic idea of how the level of interest in that topic is changing. You can also enter multiple keywords to see which is more popular. But Google Trends doesn’t just let you compare the popularity of one keyword over another. It also tells you which keywords are rising in popularity, thereby allowing you to identify the top keywords in your niche. 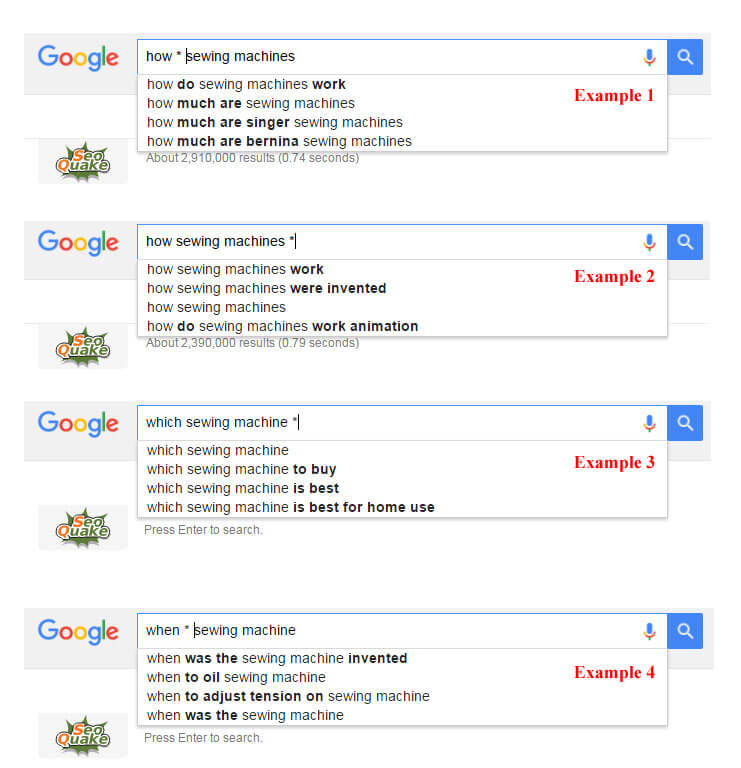 For example, check out the results I found after comparing the keywords “sewing machines” and “sewing machines USA. 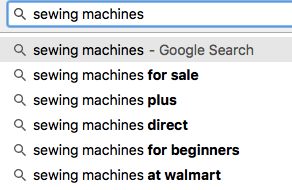 This graph shows that almost no users search for “sewing machines USA.” So does this mean that the United States isn’t a valid target market for sewing machines? Further down the page, this report also shows where users search for each keyword. I scrolled down, and look what I found. 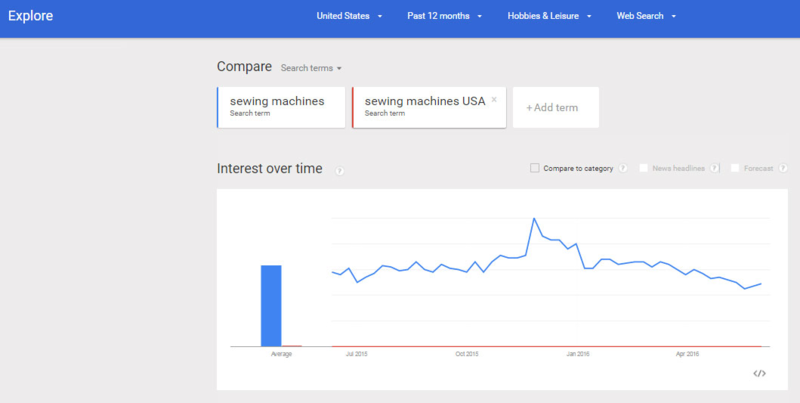 The majority of the searches for sewing machines are coming from the United States. So even though they aren’t using location-based keywords, I can be confident that the audience I want to reach is using this phrase. No other free keyword research goes into such detail. And beyond that, scrolling further down in this report also shows the top and rising related keywords. 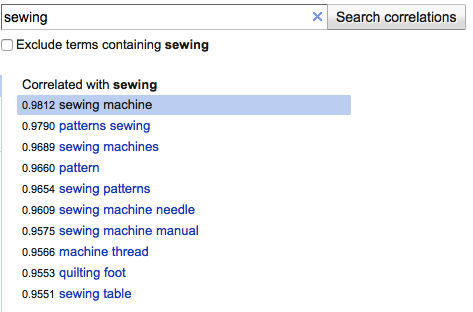 In this case, many of the related searches are for specific sewing machine brands. But that doesn’t mean they’re not helpful! In fact, this will be extremely helpful information in the competitor research stage. Plus, that “machine embroidery” keyword might be a good option to further research — and finding it was as easy as scanning this report. All in all, Google Trends is an indispensable, but often overlooked keyword research tool. Next, let’s take a look at the tools you can use to identify long-tail keywords for your site. For these types of keywords, you’ll also want to consider search volume and competition to a certain extent. But it’s okay if both are much lower than the metrics you see for your primary and secondary keywords. First, this low volume often correlates with a low competition level. This means it will be much easier to achieve a spot on the first page of search results. And when it comes down to it, you’ll still attract more traffic from a first-page ranking for a keyword with low search volume than you would from a fifth-page ranking for a keyword that gets thousands of searches per month. Plus, long-tail keywords often have a much clearer search intent than one- or two-word phrases, so the traffic you earn from them will be much more qualified. With that in mind, let’s take a look at the tools you can use to find these high-value keywords. To be clear, Google Suggest isn’t a standalone keyword research tool. In fact, it’s one of the search engine’s basic functions. Then, once I complete my search, I’ll see additional suggestions at the bottom of the results page. These suggestions are designed to help users find what they’re looking for more effectively. But because they’re created based on user search data, they’re also extremely valuable for keyword research. Each of these suggestions appears because they’re often searched by Google’s users. The list is algorithmically generated as a result of other popular and productive searches. This means that many of the suggestions you see in these spots deserve consideration in your keyword planning phase. 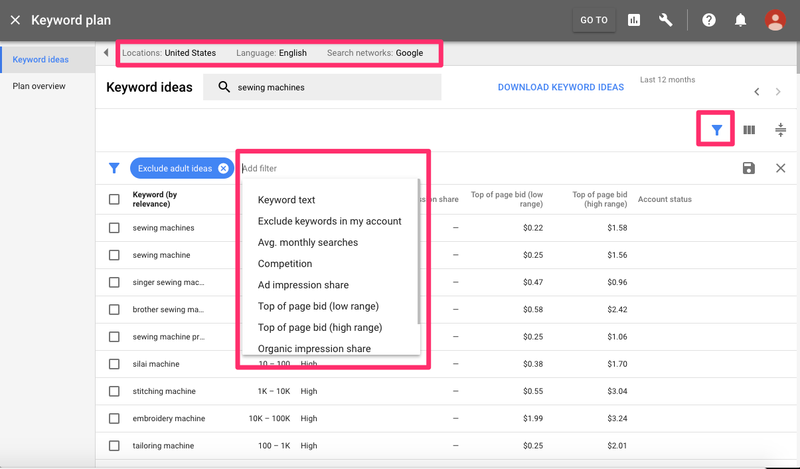 Of course, since this feature isn’t designed with SEOs in mind, it doesn’t offer the easy export options that other keyword planning tools have. But you can still easily integrate it into your research process. Search for the main keywords you’re considering targeting. Then, scroll down to the bottom of the results page and copy and related searches that could be relevant. Add them to a spreadsheet, and repeat this process for as many keywords as you like. In some cases, you may even search for the related searches you find in this process and find even more options from those keywords. 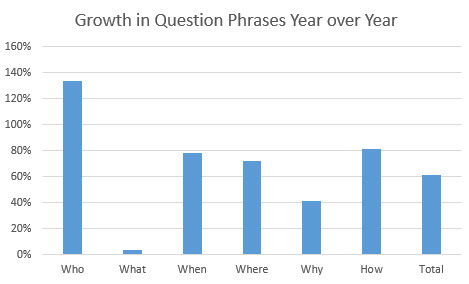 This is a great way to identify lengthier phrases to incorporate into your SEO strategy, based on real user data. This next “tool” is, again, not a standalone product. Instead, it involves using advanced search operators to learn more about how your customers search for information online. Then, the only results you’d see would be PDF files. You can also use certain operators to learn more about what searchers want to know about your products or services. To start, make a list of words that you can add before or after your keywords. So, how can you determine which questions they’re asking? First, type one of these “question” words into Google. Now add an asterisk (*), followed by one of your target keywords. The asterisk is a Google wildcard operator and acts as a blank space. When you use this operator, Google will populate that space based on the most searched-for word in that sequence. These screenshots only represent a fraction of the possibilities, but they still offer several valuable keywords. For example, you can be confident that a user searching the keyword “which sewing machine is best for home use” is looking to buy a sewing machine for home use. A sewing machine retailer could use this insight to create a page highlighting a specific product, or multiple products, that meet this need. 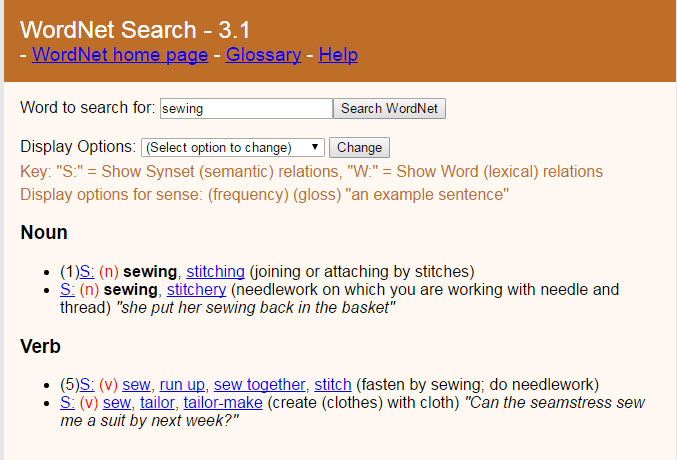 Then, when a user searches this phrase, they’d find that content and find the information they need to make a purchase. Beyond that, many of these keywords are great opportunities for content marketing topics. “When was the sewing machine invented” could make for an interesting infographic, for example, while “when to oil sewing machine” would be a helpful topic to cover in an informational article. Of course, how you use this feature depends on your product and service. There are thousands of niches out there, and every niche has its own peculiarities and pain points. But when you use this feature, you can identify how users are searching for information related to your industry. You can figure out what they want to know, and how they’re phrasing those searches. Then, you can use this insight to develop an SEO strategy entirely around your audience’s existing search habits. This tool essentially uses the Google Suggest API to compile a list of possible long-tail keywords. It provides the same information you’d find by searching for your target keywords in Google and then checking out the related searches at the bottom of the page. But it simplifies the process by compiling these results into one comprehensive list. The end result is a lengthy list with many permutations and combinations that can serve as ending a solid list of very useful long-term keywords. First, type your target keyword, then set your location and language preferences. This will show a complete list of related searches for that phrase. 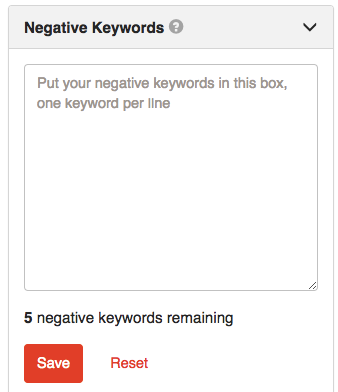 From here, you can filter your results by adding “negative” keywords, or words you want to exclude from your results. For example, searches for your competitors’ brand names are likely unhelpful, since it wouldn’t make sense to include them on your site. You can add those competitors’ names to your list of negative keywords, and none of the searches including them will show up in your report. From here, you can export your list as a CSV to easily save all of your new keyword opportunities. As you use this tool, you’ll also notice that they offer a “Pro” version. This involves a monthly fee to access search volume and competition data. And while that can be helpful, it isn’t necessary to use the tool to uncover potential long-tail keywords. So if you’re in cash-is-tight startup mode, the free version can be useful entirely on its own. In 2013, Google introduced its Hummingbird algorithm update. This change primarily served to place a higher emphasis on the surrounding context of a search query. The idea was to deliver results that were more relevant to the intent behind a user’s search — not just pages containing the searched keyword as many times as possible. As a result, Google started taking synonyms, correlations, and contextual words into consideration when ranking content. So as you optimize your site, it’s extremely important to ensure that your content contains strategically placed contextual keywords and synonyms. Wikipedia itself needs no introduction. Just about everyone with an Internet connection is well-aware of this site. But beyond providing a wealth of information on every topic imaginable, Wikipedia is an amazing source of contextual keywords. To use it, just search for your target keyword and read the page. You will come across a goldmine of LSI keywords. In the following screenshot, I’ve highlighted each of the contextual keywords that I could use to help search engines better understand the topic of a page containing this main phrase. That’s more than ten contextual keywords — and this screenshot only shows the content above the fold! As a bonus, this page also includes a diagram that shows specific sewing machine parts that could also potentially serve as contextual keywords. So spend some time browsing Wikipedia, and I’m sure you will discover a wealth of information in your niche. And don’t discount industry terms and “jargon,” either! Although highly-technical terms aren’t ideal as main keywords, they can help search engines better understand what each page on your site is about and who your audience is. Our next semantic keyword research tool is Google Correlate. This tool is designed to help users find search patterns that correlate with real-world trends. For example, you can use it to see which keywords are searched more often in winter, or which are searched more often in certain regions of the world. But for our purposes, we can use the tool to identify which other keywords the users searching one specific keyword are also searching for. Unfortunately, Google Correlate doesn’t work well when you enter a keyphrase. But when you enter a single keyword, it provides a wealth of related keywords. 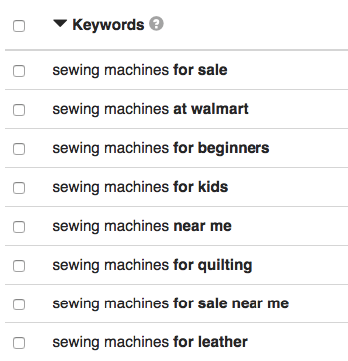 This tells us that users who are searching for general sewing information are also looking for sewing patterns, sewing machine manuals, sewing tables, and sewing machine needles. Although not all of these keywords will warrant their own pages, including them on existing pages in addition to a primary keyword can help search engines better understand and rank your content. WordNet might seem like an odd choice for this list since it wasn’t originally designed to have anything to do with keyword research. Unlike a thesaurus, it doesn’t just group words of the same part of speech. Instead, it interlinks “senses of words” and labels the semantic relations between them. If this sounds confusing, that’s okay. All you really need to know is that it’s 100% free, and will deliver a list of semantically-related words for any given keyword. Though the results here are brief, including them on existing pages can help with context. Plus, the alternate nouns and verbs could also serve as starting points for additional keywords. As you search for new keywords, you don’t always need to start from scratch. That’s because your competitors are likely already optimizing their sites for search. 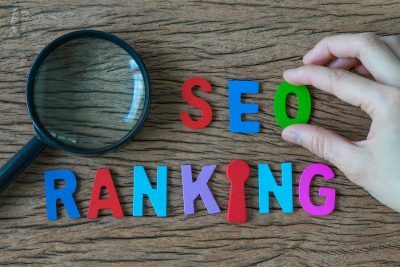 And while that means you’ll have to put in some work to achieve the rankings you want, it also means that you can use their existing strategies to help guide your own. After all, if a keyword is working well for another business in your industry, there’s a strong chance it could work for yours, too. 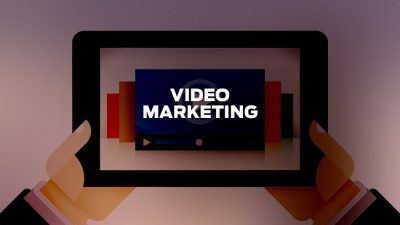 And while many of the tools that will help you uncover this data involve a monthly fee, there are ways to dig into your competitors’’ strategies without spending a cent. Like many of the tools on our list, Xenu Link Sleuth wasn’t designed as a keyword research tool. In fact, it’s a fairly basic broken link checker. Site owners can use this tool to find broken links on their sites, with the goal of fixing those links and eliminating 404 errors. But given how the tool works, it can also be helpful in the competitor research process. First, download, install and open the program. Then, instead of checking your own site for errors, enter a competitor’s URL in the “Check URL” field. Run a search, and Xenu will display data on each of the site’s pages, including titles and descriptions. Read through the titles and descriptions to learn how your top competitors are using keywords. If you notice any page titles targeting keywords that you aren’t yet using, these could be great opportunities for your site. This can also be a great way to identify relevant keywords that you can then enter into the other tools listed above to find even more long-tail and semantic keywords for your business. Keyword research is an essential part of the SEO process. But that doesn’t mean it has to be complicated or expensive. In fact, I don’t know if you’ve been counting, but there are nine free tools and resources on this page you can use to uncover possible keywords for your site. But before you get started, a word of caution is in order. If you use all of these tools, you’ll end up with a lengthy list of primary and secondary keywords, long-tail keywords, semantic keywords, and competitor keywords. But how many keywords can you reasonably fit into your site’s existing pages? Remember, your goal with keywords should be to incorporate them naturally and in a way that helps Google deliver relevant results to their users. If you “stuff” your pages with the keywords you find, simply for the sake of using them all, you’re likely going to harm your rankings — not improve them. Write naturally and weave in your target keywords in where they make sense. Usually, this happens automatically as you’re creating helpful content. Take into account that your long-tail keywords will often contain your primary or secondary keywords. This means you don’t necessarily need to use them separately. Pepper in a synonym or a couple of relevant contextual keywords here and there, but don’t overdo it. Now, it’s time to start using the tools above to find the keywords that will help you achieve the digital marketing results you want. What is your go-to free keyword research tool?